Being a quality-centric organization of this industry, we are engaged in providing a wide array of Greenhouse Shading Cover. -100' hardly cost using these nets and hence more and more farmers are using these nets for net houses. Fortune Poly Tech is the loremost Manulacturer and Supplier ol Agricultural Nets. We manulacture a wide range ol Green Netlscaolding Net that is widely used in construction sites. These nets help in controlling spreading debris & dust. We supply our range oonlormation to international quality standards. Our greenhouse shadings are attached with the plastic mesh shallow that allows sufficient water vapors to pass through and maintain the temperature of greenhouse shading. We are providing Shedding Net to our valuable clients with a quality approved range. net is manufacture and stabilized with U.V which increase its life of product under hot climate. We offer garden sheds that is also known as garden buildings and summer house. A compact luxury space that is nicely fit in with the natural lay of land, a garden shed is an attractive and useful addition to gardens and combine in it both looks and practicality. 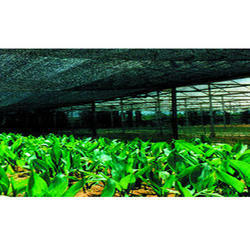 We are engaged in offering a quality approved range of Greenhouse Fabric. Leveraging over the skills of our qualified team of professionals, we are instrumental in offering wide range of Greenhouse Shed. 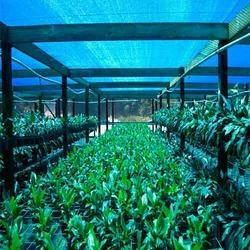 With rich industry experience and knowledge, we are manufacturing a qualitative range of Green House Shading. Provoked to attain utmost approval, we provide the premium quality of Greenhouse Roof Cover. Green House / Poly House UV Sheet.